Before the 40 yard pass, before the dribbling, even before the spectacular goal, there is one thing supporters appreciate the most: a sweat-soaked jersey, a sign that a player is fighting the good fight without any sign of surrendering! Often their hard work and determination goes unnoticed, hidden amongst the shadows, but we want it illuminated and celebrated with a jersey that does just that, a jersey that can transform this hard work into something of a spectacle! Through the heat of the body, the team’s emblem is revealed. 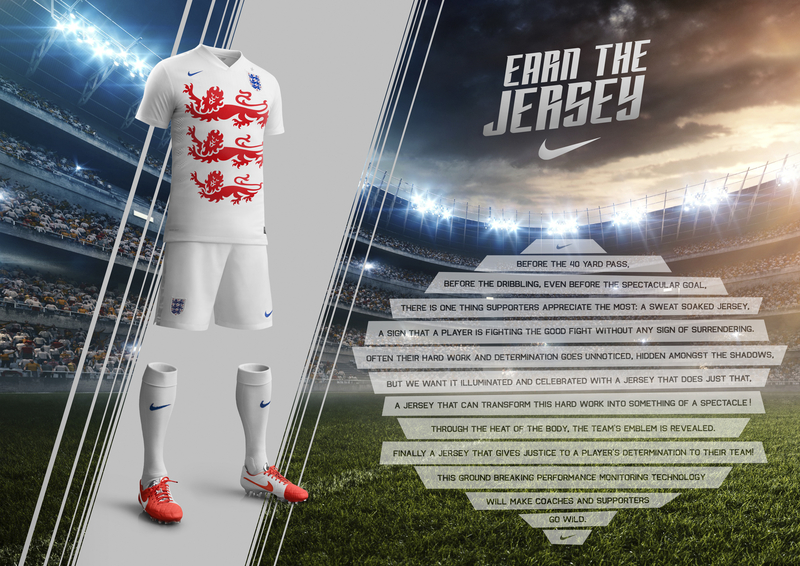 Finally, a jersey that gives justice to a player’s determination to their team! This groundbreaking performance monitoring technology will make coaches and supporters go wild.